Spills and Smiles: New Canadians Take to the Ice! The Central Alberta Refugee Effort (C.A.R.E) exists to help immigrants and refugees adjust to their new home in Central Alberta and become productive members of our society. This week C.A.R.E. held their Learn to Skate Program at a few of Red Deer’s ice surfaces including the G.H. Dawe Arena, Bower Ponds and the West Park Outdoor Rink. The program began six years ago and gives new immigrant youth aged 10-19 the opportunity to experience this unique aspect of Canadian culture. All of the equipment is rented by C.A.R.E and this allows the kids to try skating without spending a lot of money. C.A.R.E would like to thank the City of Red Deer for partnering up along with the Red Deer RCMP and Red Deer Pond Hockey. The program ran from December 28-30th. Red Deer Has A New Millionaire! Lindsay has lived in Red Deer for over 22 years she made her way down from Grande Prairie when she was about a week old. She admires what Red Deer has to offer as a community. She is also passionate about photojournalism and the story it portrays. Red Deer families volunteer their time in massive South Red Deer food drive taking place this week. A spring food drive organized by members of the Church of Jesus Christ of Latter Day Saints in Red Deer has become an important way for the Red Deer Food Bank to stock its shelves. Bags will be delivered to the doorsteps of homes on the south side of the city this week and they will be picked up on Saturday April 27 between 10 am and 12 noon and delivered to the Red Deer Food Bank. All south-area residents are reminded to please support the food bank by leaving a food donation on their doorstep this Saturday. 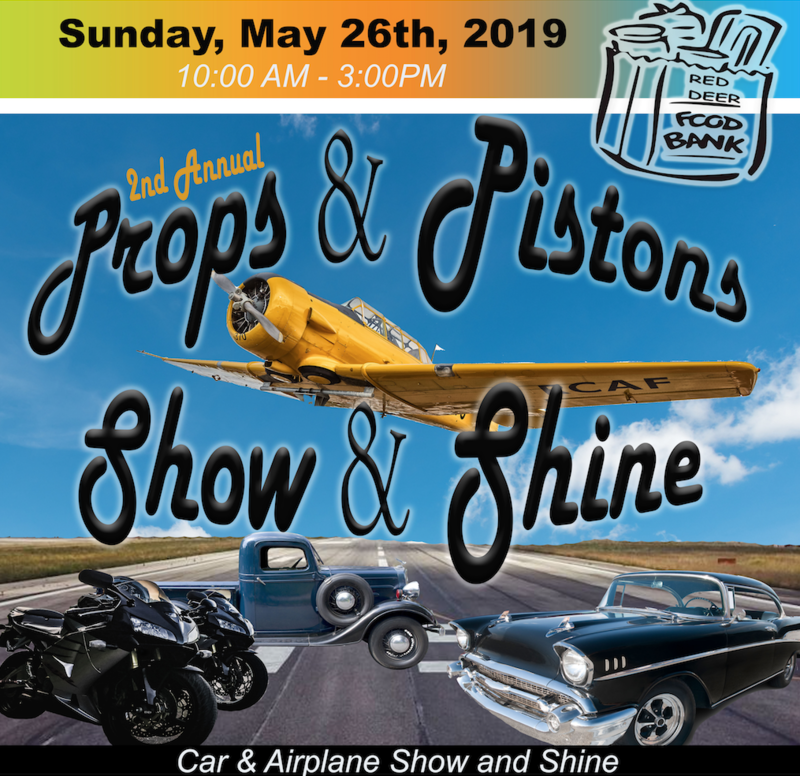 Anyone whodoes not get a yellow bag in their mailbox next week is more than welcome to bring donations to the Bower chapel (3002 47th Ave) between 10 am and noon on Saturday, April 27. 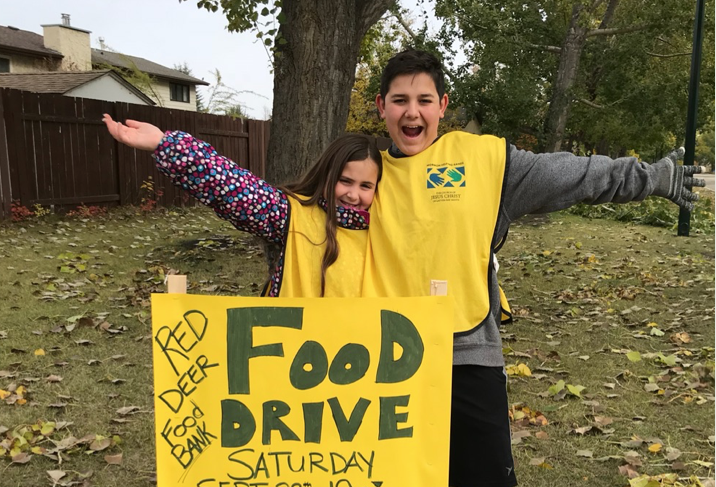 “We do a fall food drive in the north half of the city and a spring food drive in the south half of the city every year,” says Allison Strate, Red Deer Stake Food Drive Coordinator. “Red Deer citizens have been very generous and together the two food drives typically bring in between 18,000 -20,000 kg of food.” The Red Deer Food Bank is hoping that Red Deer residents will support this food drive, so they can continue to do the important work of assisting Central Alberta families.